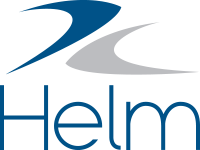 In Helm CONNECT, your parts list is a catalog of the parts you want to keep track of or order frequently. This lesson will show you how build your parts list. Set up and manage your parts list, as well as your parts units, custom fields, and categories, in Parts on the Setup menu. Let's take a look at the information you can capture about your parts. A unit, such as box or a case, is required for every part you add to the system. You can use the default parts units we provide, or add your own on the Part Units tab. Although they're optional, categories are a useful way to organize your list of parts. Also, if you want to create custom fields for your parts, you must use part categories. Before you start adding any parts, add the categories you want on the Part Categories tab. Custom fields are attached to parts through part categories. Before you start adding any parts, create the custom fields you want on the Part Categories Custom Fields tab. Assign the new fields to the relevant part categories. After you add your units, categories, and custom fields, start adding parts on the Parts tab. We suggest you start with a short list, and add more items as you identify the ones you really need. This will help keep your parts list uncluttered and give you an opportunity to decide how you'd like to organize it. Identify critical spares You can flag any item in your parts list as a critical spare by selecting the Critical Spare check box. If a critical spare is included in a requisition generated from an inventory count, that requisition will automatically be assigned a high priority. If you no longer want a part to be used, make it inactive by clearing the Active check box on the Parts tab. To start using the part again, make it active by selecting the Active check box. Add new items on the Parts tab in Parts, on the Setup menu. Add new items from within an open requisition in Requisitions, on either the Onboard or the Requisitions menu. Simply click the Add a new part icon, complete the details about the new part, then click Add to add it to the open requisition and to the parts list. Notes You can't add new parts from an open requisition if you're working in the installed version of Helm CONNECT. From the Setup menu, select Parts. Use the Description field to enter a name for the part. (Optional) Use the Part Number field to enter the part number your company uses for the part. (Optional) Use the Cross Reference field to enter other numbers that might be used for this part, such as a vendor's part number. TipYou can enter multiple cross reference numbers, separated by commas. Use the Unit list to select the type of units that will be used to count or order this part. This list is based on the units entered on the Part Units tab. (Optional) Use the Category list to add the part to a category. This list is based on the categories entered on the Part Categories tab. Use the Asset Types field to assign the part to a specific asset type or types. This list is based on the asset types entered on the Assets tab in Assets, on the Management menu. If you don't select an asset type, the part will be assigned to all asset types. (Optional) Use the Additional Information field to enter any extra details you want to include about the part, such as special instructions. Note Users can view this part information while completing an inventory count in Logs by clicking the Part Information icon. (Optional) To deactivate the part, and remove it from the Part lists for requisitions and inventory, clear the Active check box. Note By default, all new parts are active. (Optional) To make the part a critical spare, select the Critical Spare check box. Note If a critical spare is included in an inventory count, and it falls below the minimum threshold, the requisition generated by that count will be set to high priority. To save the new part and leave edit mode, click Save Changes. To save the new part and immediately add another one, without leaving edit mode, select the Save and create another check box first, then click Save Changes. To discard the new part, click Discard Changes.